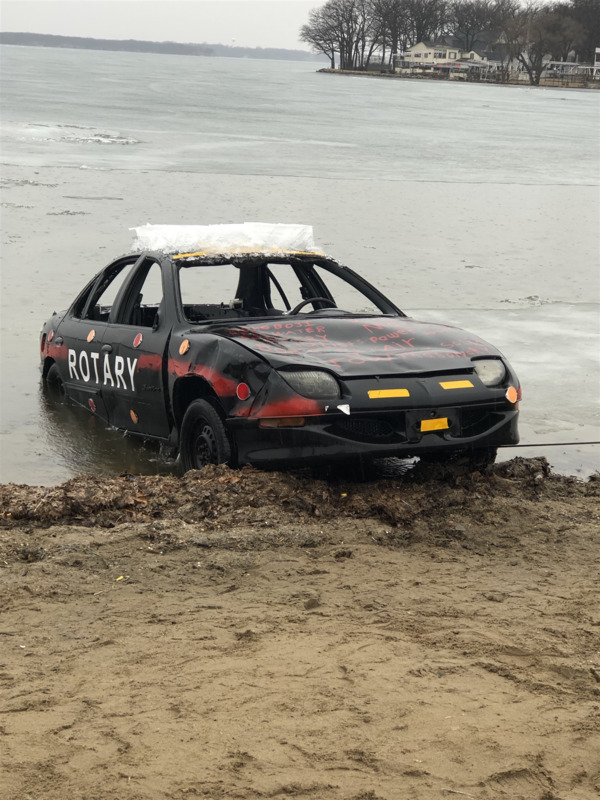 On April 2, 2019 the IGL Rotary Car drop Fundraiser came to an end after the car sank into the icy waters of Smith's bay. 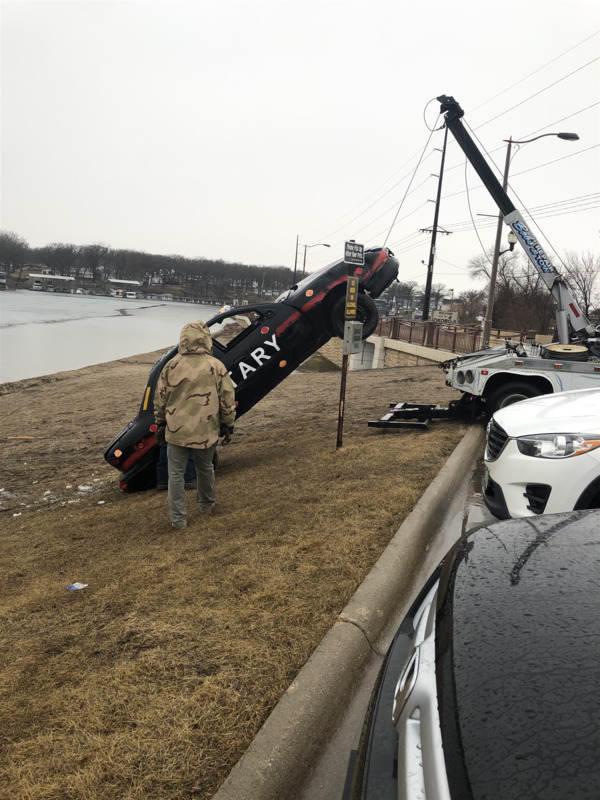 On Wednesday Bob's Tow and Repair of Spirit Lake and the Okoboji Underwater Rescue Team retrieved the car from the lake and determined the clock inside the car stopped at 4 pm. The winner is from Des Moines, Iowa and purchased the ticket on line. Alex Tow and his Grandfather Jim DeBartolo, enjoy coming to Okoboji to fish. Alex's grandfather bought two tickets - One for himself and one with his and his grandson's name. The latter was the 4 pm winning time with a $1,000 cash prize! Congratulations! All materials and photos, unless otherwise specified, copyright of Rotary Club of Iowa Great Lakes.